Born in India in 1946, Lord Edmiston, the son of a war time fighter pilot, came to the UK at the age of three and subsequently spent, from the age of ten, five years in Kenya before returning to the UK in 1962 where he has remained to this day. He started his career as a Bank Clerk. He is a Fellow of the Chartered Institute of Management Accountants. Today he owns a number of companies in the property, motor and finance sectors with a combined turnover of approximately £500 million. He is a father of a grown-up family of one son and two daughters all of whom are married and he has ten grandchildren. He is married to Tracie who also holds his firm Christian beliefs. Together in 1988 they founded CV, an international charity with offices in 22 countries working to support the Christian church in the areas of evangelism and discipleship in both the online and offline space. In the UK, Lord and Lady Edmiston have sponsored, and are Governors, of three schools, called Grace Academy with around 3,000 students aged between 11 and 18 years. The car business, which formed part of the original I.M. Group, now imports and distributes Japanese and Chinese cars and parts in the UK, Ireland, Sweden, Finland, Denmark and the Baltics. I.M. Group has a Beijing office which supports Group activities and operates as a consultancy and a trading house on behalf of third party clients. In the early 90’s, I M acquired a publicly quoted property company called BHH which is now known as I.M. Properties PLC and is now the largest company in the Group.I.M. Group also owns a Finance Company. 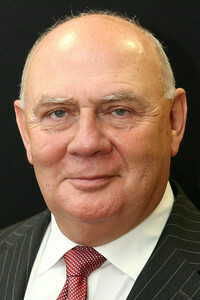 Lord Edmiston has a keen interest in politics and in both business and social issues. Until 2010 he was the Chairman of the Midlands Industrial Council, a group of leading Midlands industrialists and businessmen who maintain a close dialogue with senior politicians of the day. On January 18th 2011 he was introduced into the House of Lords which he hopes will allow him to be a voice for good in the areas where he has a particular interest or skill. View Lord Robert's Edminston's 10in2 video HERE.